Buying a home in Huntsville, Alabama isn’t always about location. It is also about the good schools and the various outdoor amenities many of the neighborhoods here offer. It is about the wide variety of events and special amenities present throughout the area as well. But, when it comes time to buy a home, you may want to consider the actual home style, too. This city has plenty to offer even those buyers who want something very special. Huntsville home styles range widely. There are several cookie-cutter style homes present, of course. There are also a number of fantastic historic homes in this area. These tend to be harder to find for sale, of course. So, what type of home will you find here? One of the most popular is the craftsman home. These homes have a lot of charm and detailing that makes them seem special. Look for things like bold architectural details and strong columns. That big front porch is a must-have for many of today’s buyers. And, you’ll find lower pitched rooflines, earth tones throughout the space, and a prominent over-hanging of the eaves. You may also find that inside, these homes offer open floor plans. Another common option is the more modern Colonial. You will find custom built homes are popular in Huntsville as well. These homes feature unique designs and details crafted by the original owners. Victorian-style homes are also present here, as are numerous ranches and split-level homes. These properties are often available in numerous styles. 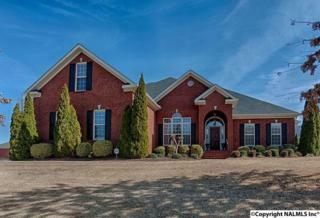 The homes for sale in Huntsville range widely in size and style. If you are looking for something specific, for example a certain number of bedrooms or square footage, it’s important to choose a property style carefully. Older homes more frequently offer fewer bedrooms and more living space. But, modern homes featuring four or more bedrooms are not uncommon. Navigating the real estate market in Huntsville means working closely with an area real estate agent that knows the market well and who can help you to find your dream property.